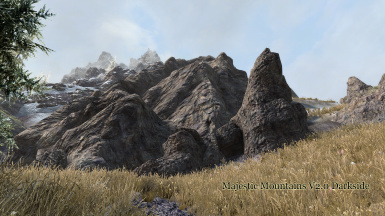 Majestic Mountains is a pretty complex mod which started as a simple mountain retexturing and grew over time to a mod that changes a lot of whole Skyrim. I splitted the mod into several modules. Some are important and some optional. 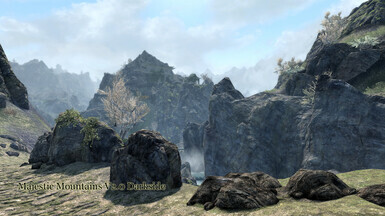 SunDaytimeSouth/ North - (optiional) it changes the sun position, Please use Enb helper to solve Problems with daytime registration! Complementary Pack - (optional) I created the pack when I got reports off poeple that didn't find fitting landscape textures. 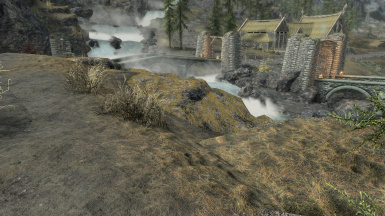 It offers almost all landscape textures in 2k with special textures for Blended Roads and there own lod. Download and install the mod with your preferred mod manager and use Loot for sorting the plugins. From version 2.2 and up all esp files are flagged as ESL. And a new game would be required to play without problems. During the installation process you may be asked if you want to overwrite existing files. You usally should click yes. I will maintain a more flexible list of mods that should be overwritten or not in the Compatibility section of the description page. After you have installed the mod there is an important step for getting fitting snow. 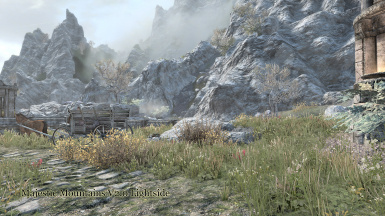 If you are using Skyrims snow shader then you can skip this step. 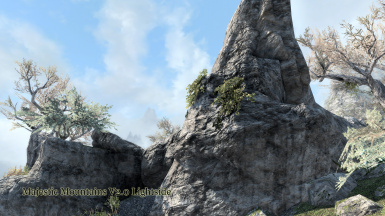 Otherwise you need to set "benableProjecteUVDiffuseNormals" to "1" in your SkyrimPrefs.ini. 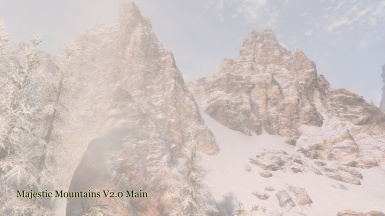 This setting applies a texture to snow on objects. The snow should fit really great. If it doesn't then have a look in the Troubleshooting section in this readme. This section describes more detailed the snow system of Majestic Mountains. I made two important steps for snow fitting. The first step was setting all snow material to white into the esp. And the second step was creating a fitting projecteddiffuse in the effects folder. This textures is applied to the white snow material. This creates a similar look like Better Dynamic snow. 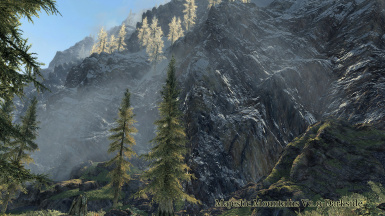 Majestic Mountains was designed to work at best with the new Snow Shader of the SE. But certain bugs within this shader forced me to redesign the snow and to implement some workarounds. The reason why I don't give up the shader is the fact that it prevents Skyrims ambient occlusion on snow material wich is especially for glaciers a real benefit. And on the other side it reduces visible seems between the snow landscape textures and snow coverd objects. The downside of the Snow Shader is a limited compatibility with some snow mods, a landscape normal map bug and washed out decals on a certain darkness level. The decals will start disappear in lighting situations with a dark ambient light. setini "fSnowSSSColorR:display" (your number) for example. setini "fSnowSSSColor:Gdisplay" (your number) for example. setini "fSnowSSSColorB:display" (your number) for example. The tint and brightness depends on the relations between the values of r,g and b. Once you've found your favorite setting simply write the values in the ini then. 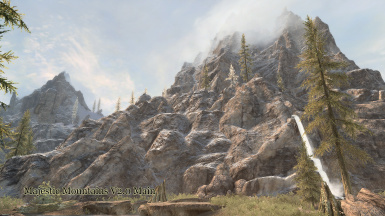 The snow in this mod is designed for working with the projecteddiffuse texture. This texture is usally loaded if the Snow Shader is enabled in the launcher and will be skipped when it is disabled. 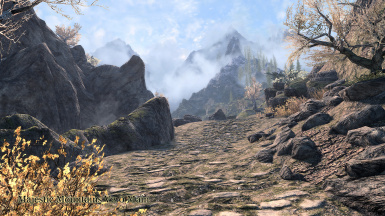 If you want to play without Improved Snow you need to set "bEnableProjecteUVDiffuseNormals" in your SkyrimPrefs.ini to 1. This setting projects snow on all objects in a very similiar way like Better Dynamic Snow. But with a lot of advantages over it. All landscape and snow textures are put in a compmentary texture pack for better compatibility. This helps users who use different textures because there are no conflicts while installing anymore. 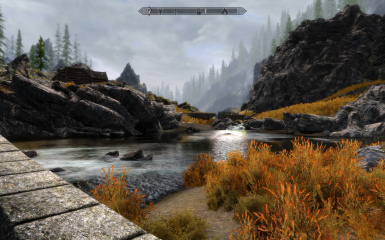 The snow is compatible with other snow mods like Footsteps and No Snow under the Roof. But Better Dynamic Snow needs some considerations. 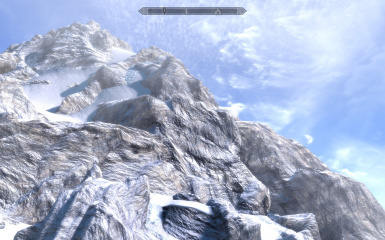 Install Better Dynamic Snow WITHOUT the compatibility patch and place it below Majestic Mountains in the load order. You should disable the Snow Shader bause Better Dynamic Snow disables the snow flag on the materials wich would cause a disturbing line between the landscape and the meshes. But you still need to enable "bEnableProjecteUVDiffuseNormals" in your SkyrimPrefs.ini. 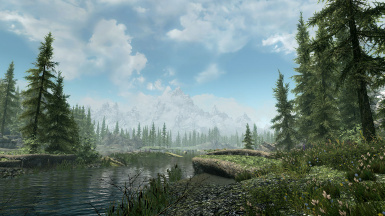 Better Dynamic Snow can only cover 60 percent of the snow meshes because of engine limitations and the projected snow of Majestic Mountains covers the rest. 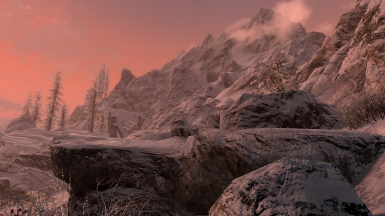 One of the main reasons why Skyrims snow is fitting badly are vertex colors. Vertex colors are set directly in the mesh on the polygon surfaces. 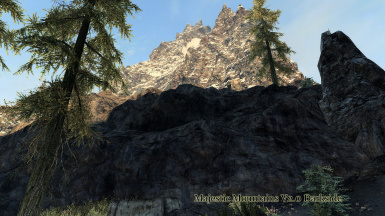 Majestic Mountains removes this colors on the mountain and rock meshes and on the landscape. 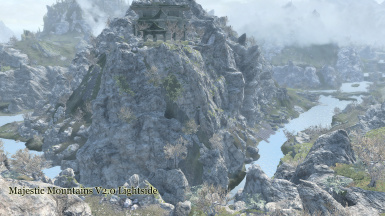 This creates a much better fitting between mountain/ rock meshes and the surrounding landscape. Although the fitting can never be perfect because of different light reflection angles. The landscape edits are converted to esm in the latest preview. 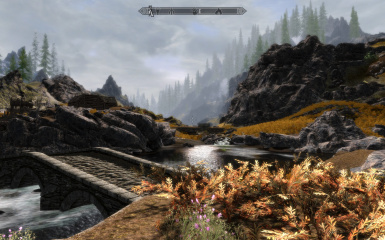 This ensures a better compatibility with mods that are editing the landscape at the cost that overwritten landscape parts may have a slightly unfitting snow. The reason why I created an esm for the landscape edits was a better compatibility with mods that are altering the landscape too (like Cutting Room Floor). 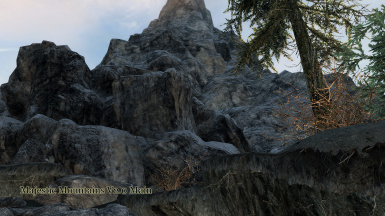 If a mod overwrites an edited snow area the vanilla vertex colors are restored there and the snow fitting isn't a bit worse but this is a very minor issue. And most mods that are editing landscape usally don't edit snow cells very often. You can mostly ignore that kind of conflicts. The projecteddiffuse.dds is a texture within the effects folder. 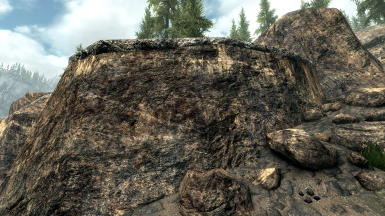 This texture is applied to all snow materials on meshes if "benableProjecteUVDiffuseNormals" is set to "1" in your SkyrimPrefs.ini. It should be the same texture like snow01.dds in the landscape texture folder in Majestic Mountains 1.8. 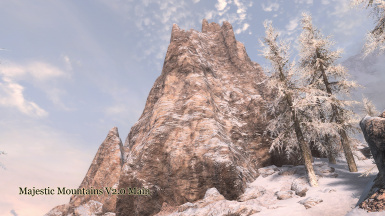 Since most snow retexture mods don't have a projecteddiffuse.dds that is equal to snow01.dds this WOULD make them incompatible with Majestic Mountains. BUT everyone can work around this incompatibility. Simply delete the projecteddiffuse.dds in the effects folder, copy over the snow01.dds of your preferred snow mod and rename the copied texture to projecteddiffuse.dds. Everyone can make every snow retexturing compatible with seconds. A lot of mountains are coverd with moss to hide possible tiling and to give the environment a more diverse and interesting look. The moss was put into a seperate esp. This gives the user the choice to play without it. and a more brownish moss for the Tundra and the Rift. 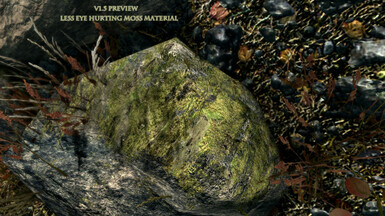 There were a lot of mesh redirections necessary to control a more regional based appearance of the moss. 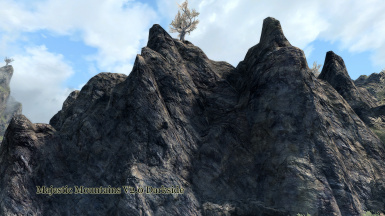 This leads to an incompatibility to mods that are redirecting mountain meshes too like "Moss Rocks" with this plugin. Since all mountain meshes are casting shadows with this mod I decided to alter the sun direction too. Especially the SunDaytimeSouth.esp creates a really interesting look because the sunlight comes from a new direction. The sun direction was transfered into seperate esp files. the sun during day. You should only have one of them active. I'm planning an installer for future versions to prevent searching the modlist for the esp files. 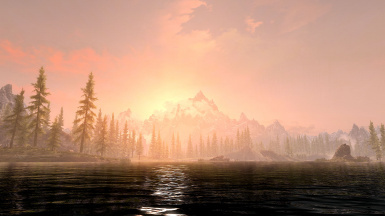 Sun direction MAY cause conflicts with future versions of ENB. If you run into a 95 percent daytime issue you need to disable sun direction esp`s. 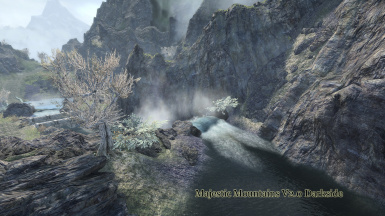 Make sure that MajesticMountains.esp is on top of the other parts of the mod. The load order of the other parts doesn't matter. They don't conflict with each other. 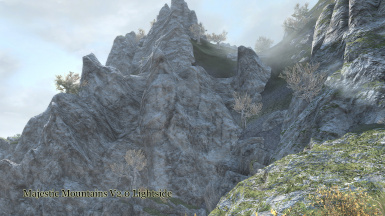 Majestic Mountains contains it's own lod atlas texture for object lod. 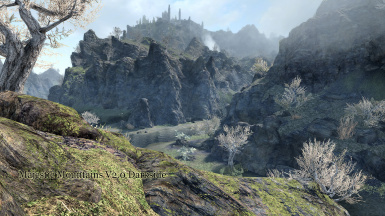 But if you are using DynDoLod you can create your own custom lod with the lod resources wich are uploaded as optional files. This resources are using lod textures in the resolutions 512, 1k and 2k. It is recommend to use the 512 or 1k textures if you are using other high res lod textures for atlas creation. The atlas would exceed the supported texture size otherwise. 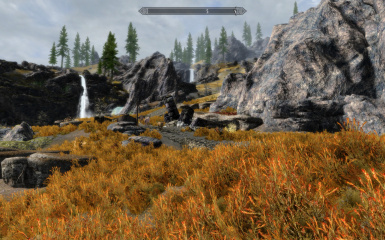 I suggest to have a look into the Tucoguide (https://www.nexusmods.com/skyrimspecialedition/mods/10694/?) for a description of the lod creation process. 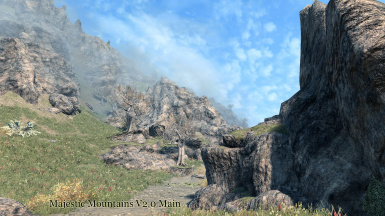 I have numbered the mountain mod versions and every fitting lod ressource has the fitting number too. 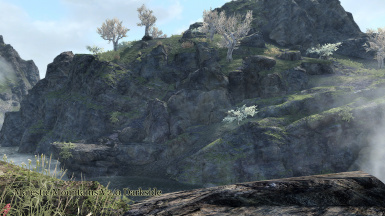 The Complementary Textures were created because many poeple didn't find fitting landscape textures. I designed the textures to create a homogenious look. I focused the overall look more than the look of a specific texture. But I think I've created a pretty descent pack. -I figured out that many weather mods are changing the snow material color too. Putting them below Majestic Mountains in the load order may lead to unfitting snow. If Loot puts MajesticMountains.esp higher than a weather mod and you are getting a strange snow color you should change the load order. 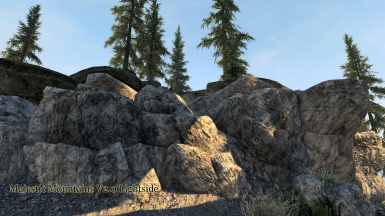 -Disable Skyrims Snow Shader if you are using Better Dynamic Snow or if you get glowing mountains, rock meshes at night. But this is only necessary if the whole objects glows. 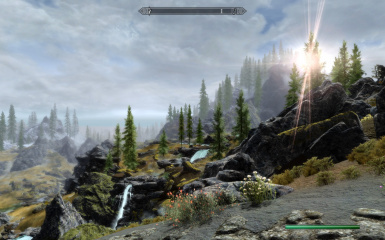 -If the snow (and only the snow) is too bright at night with certain weather mods and or Enbs then you should reinstall the mod with the Dolomite Weathers fix. 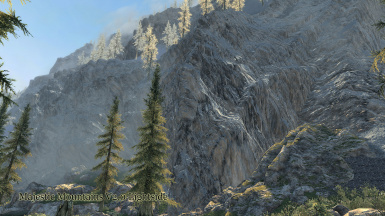 -The mountains are using the same shader material like the glaciers in version 2.0. 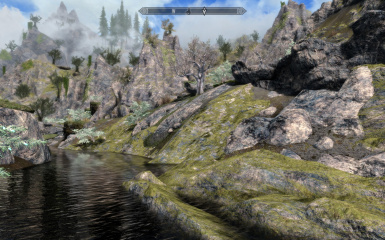 Befor reporting an issue make sure that you've tested the mod on a clean savegame without any other mods than Majestic Mountains. Report issues in the comment section or via pm please. I'll try to help as fast as possible. And if I can't solve the issue there were many helpful members active in the comment section. I will abuse this line to say: Thank you very much. -You want to create a compatibility patch. 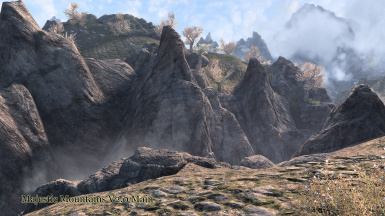 -You are creating a larger mod like Falskaar and you want to include Parts of Majestic Mountains. 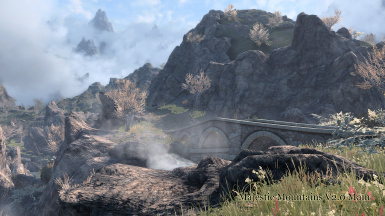 -You may upload this mod without changes if you give me full credit and link to the main mod. -You are allowed to create showcases on Youtube and to monetarize the video. - You don't need to contact me first. A simple credit is enough honor for me.